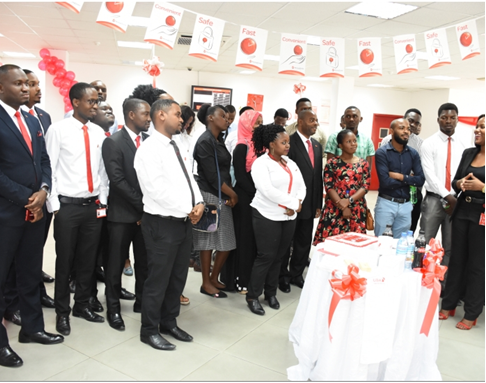 United Bank for Africa Tanzania staff members together with UBA customers gathered to celebrate the customer service week. The celebration objective was to recognize UBA customers as the major contributors of their business. "UBA joins the world to celebrate our customers this week of 1st - 5th October 2018. We Value and appreciate our customers because we recognize every opportunity to interact which makes a positive impact to others." The MD/CEO Mr. Usman Isiaka emphasized. The Customer Service Week is an international event devoted to recognizing the importance of customer service and to honor the people who serve and support customers with the highest degree of care and professionalism. The MD/CEO ended the celebration by appreciating all the customers "In appreciation of our customers, everyone will be awarded branded items and share a cake to symbolize our valued relationship with our customers. Thank you for choosing UBA." 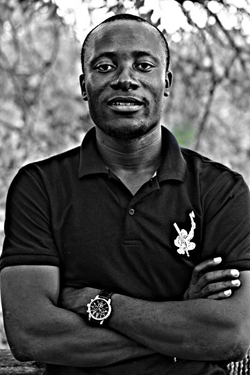 Said Mr. Usman Isiaka. 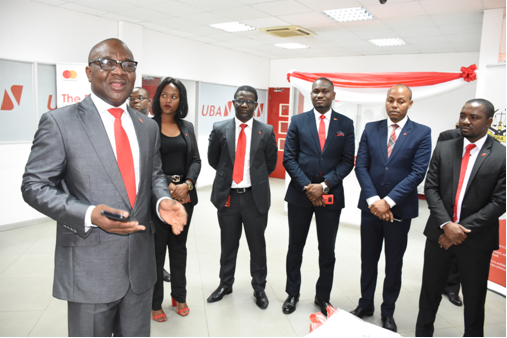 UBA MD/CEO Mr. Usman Isiaka welcomes customers who were present at the celebration of the customer service week held at the Pugu Road branch onlookers are UBA staff members. 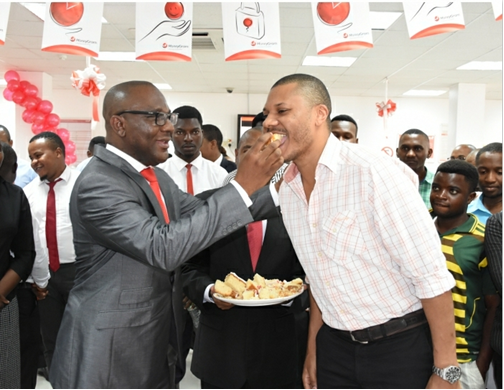 UBA MD/CEO Mr. Usman Isiaka shares a piece of cake with one of the customers who were present at the celebration of the customer service week held at the Pugu Road branch. 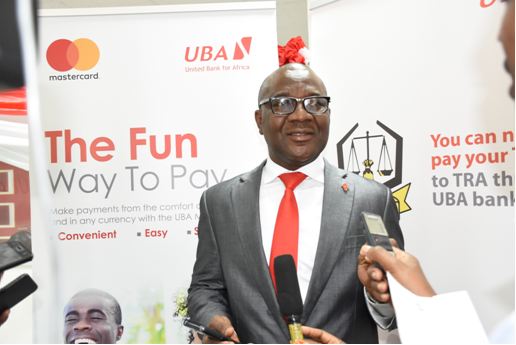 UBA MD/CEO Mr. Usman Isiaka on a one on one with the media during the celebration of the customer service week held at the Pugu Road branch. UBA Head Marketing &Corporate Relatons, Ms. Brendansia Kileo welcomes customers who were present at the celebration of the customer service week held at the Pugu Road branch.